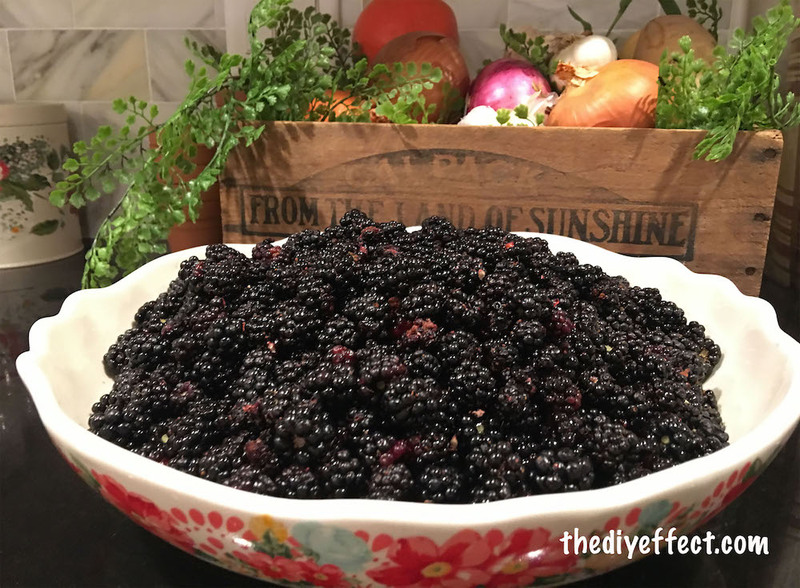 This is a super easy blackberry pie recipe, Works with most fruit pies. In this photo we used a ready made frozen crust, but we do homemade crust too, and will share here soon. Frozen gluten-free pie crusts are available in some supermarkets. Using a fork, prick a few holes in the raw crust and bake (without filling) for a few minutes (until slightly brown). Remove from oven, brush crust bottom with a little egg wash and let cool for few minutes. Add berry mixture to the crust. 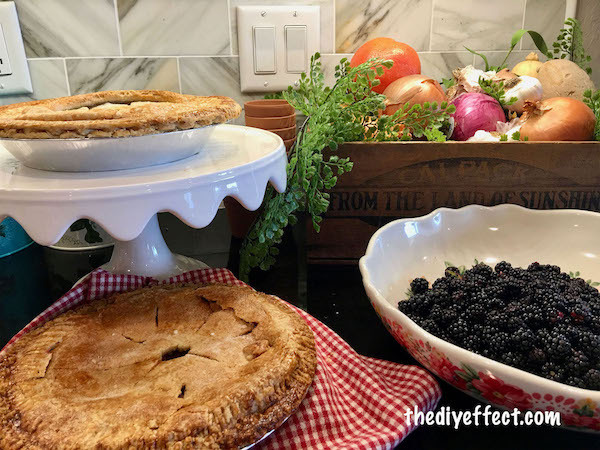 Gently place second crust on the blackberry pie. Cut 4 or 5 slits around the top of the pie, and a hole in the middle. Brush the crust with with egg wash. Bake until golden brown and berries are bubbling.